Chicago defenseman Duncan Keith was the unanimous choice for the Conn Smythe Trophy. 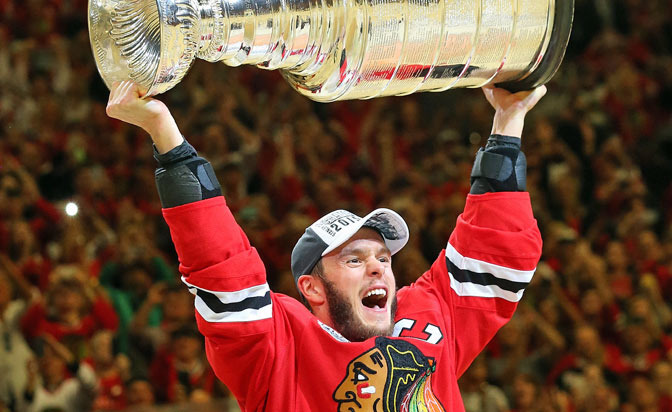 Take an on-ice view of Blackhawks captain Jonathan Toews raising the Stanley Cup. After winning their past two titles on the road, the Hawks were able to share this one with their home fans. Lightning's Steven Stamkos didn't escape the feeling he had failed the men he was chosen to lead. Forty-year-old Kimmo Timonen finished his illustrious career with an elusive Cup championship. The final seconds tick off the clock on the Blackhawks' third championship in six seasons.